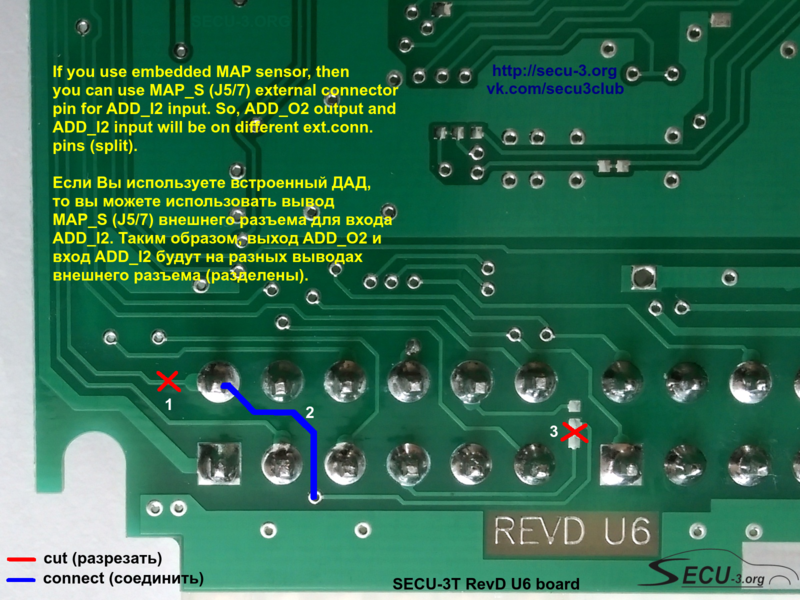 SECU-3T unit has a limited number of inputs/outputs. For economy of the external connector pins, some inputs and some outputs are combined, so connected to the same pin (ADD_IO2 pin of the external connector). This article explains how to split ADD_I2 input from ADD_O2 output and thus obtain additional free input and output! 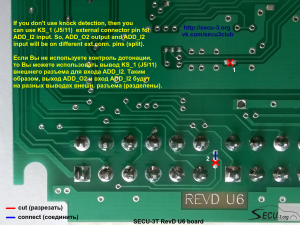 To do this (splitting of ADD_I2 and ADD_O2), you need some soldering skills. By default, ADD_I2 input connected to the ADD_IO2 pin of the external connector, at the same time ADD_O2 output is also connected to mentioned pin (as a result, J5/4 pin can be used only as input or only as output). If you don’t use detonation control, then you can use KS_1 external connector pin for ADD_I2 (actions to perform are shown on the first picture). 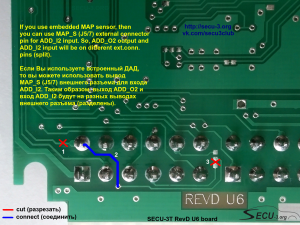 If you use SECU-3T unit with embedded MAP, then you can use MAP_S external connector’s pin for ADD_I2 input (again, what to do is shown on the second picture).